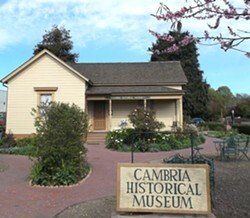 Enjoy a guided tour of the most historic structures in the east village of Cambria. Qualified docents will expand on everything you thought you already knew about our history since 1866. Enjoy complimentary dessert and beverages afterward at Robin's Restaurant.